A reputed Philadelphia mob boss who reinvented himself as a restaurateur relapsed into a life of crime by orchestrating a health care fraud that made a fortune for an East Coast crime syndicate, a prosecutor said Tuesday in opening arguments at his federal trial. 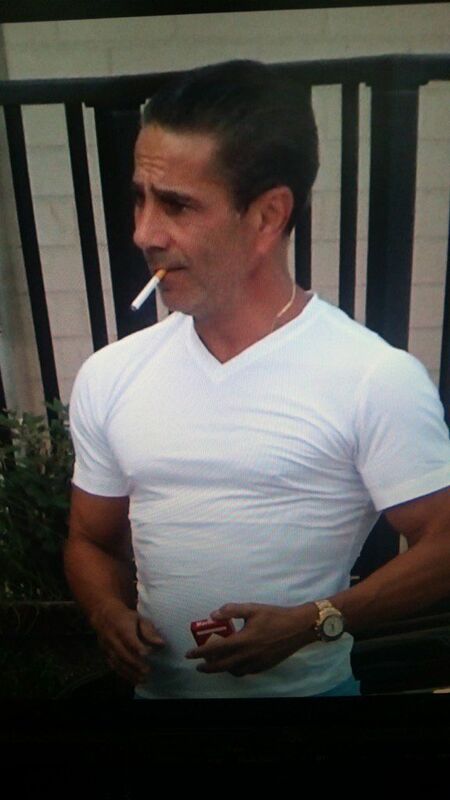 Joseph "Skinny Joey" Merlino was a tough-talking "fixer" in a widespread scheme to collect insurance payments by bribing doctors to write bogus prescriptions for a pain cream, Assistant U.S. Attorney Max Nicholas told Manhattan jurors. Merlino "called the shots and he always called them in favor of taking and keeping money," Nicholas said. The prosecutors said Merlino also sought to collect gambling debts for the syndicate, adding that the jury would hear recordings of him fretting over whether any "rats" and "stool pigeons" were lurking. In his opening statements, defense attorney Edwin Jacobs said Merlino was framed by cooperating criminals with incentives to lie to save their own skins. "Joey is accused of a bunch of crimes he didn't commit," Jacobs said. Merlino, wearing a knit hoodie, gold chain and dark loafers, listened as Jacobs described how, after a stint in prison, his client moved to Florida to "live a normal and new life" with his family and four pet dogs. But he couldn't shake a gambling problem that made him vulnerable to manipulation by a wire-wearing mob turncoat named John Rubeo, who gave him tens of thousands of dollars to feed his habit. "Joey's weakness is gambling," the lawyer said. "He bets frequently and beyond his means." Merlino, 55, was among nearly four dozen defendants arrested in a 2016 crackdown on the syndicate that prosecutors say committed crimes including extortion, loan-sharking, casino-style gambling, sports gambling, credit card fraud and health care fraud. It operated in New York, Massachusetts, Pennsylvania, Florida and New Jersey. The government plans to use cooperators as witnesses, including Rubeo, an associate with the New York-based Genovese crime family. Another admitted gangster, Bonanno crime family captain Peter Lovaglio, was one of the first witnesses on Tuesday, testifying that he and Merlino became friends in 2015 at a time when Lovaglio agreed to let federal authorities tap his cell phone to monitor conversations with other gangland figures. On cross-examination, the defense sought to attack Lovaglio's credibility by getting him to admit he never recorded any phone calls with Merlino, and that he first told investigators about the relationship only about two months ago. Merlino once controlled the remnants of a Philadelphia-south Jersey organized crime family that was decimated by a bloody civil war in the 1980s and 1990s. Federal authorities say he was frequently targeted by murder plots after rivals put a $500,000 murder contract on his head. He became a main suspect in a failed hit on another mob figure on Halloween 1989, but was never charged. He also served time for a $350,000 armored truck heist that same year. In 2001, a jury acquitted Merlino and six co-defendants of three counts of murder and two counts of attempted murder that could have put him in prison for life. He was convicted of lesser racketeering charges and served 12 years in prison before being released in 2011. Merlino claimed that he retired from the mob for good by running an upscale Italian restaurant in Boca Raton. The since-closed restaurant was called Merlino's. In a 2013 interview, he said that life in the Mafia wasn't worth the stress of being double-crossed. "Too many rats," he said. "I want no part of that."